American Airlines is doing some surprising things to recycle and reuse. As American Airlines flight attendant Lisa Lonvick sees recycling and reusing opportunities at every turn when she walks through the cabin of a plane. Windows, magazines, carpet, pillows and blankets are all targets of the Fort Worth-based airline's massive effort to recycle and reuse. As a coordinator of American's on-board recycling efforts, Lonvick has helped the airline gather up tons upon tons of recyclable material. She gives new life to things that have hit the end of the road in the air. American Airlines is going green with a number of recycling initiatives. "It's a unique opportunity to look at an airplane in a new way", Lonvick said. American is a global giant with more than 3,400 flights a day to more than 40 countries around the world. Along the way, those planes burn a lot of fuel. But to offset that environmental impact and to show a commitment to the environment, the airline is doing more each year to "go green." Last year alone, American recycled more than 1 million pounds of airline magazines. Plastic windows were melted into pellets and turned into toys. Ninety-six-thousand pounds of unused customs forms were converted to recycled paper. Pillows and blankets went to homeless shelters for another round of use. Videotapes from on-board movies were shipped off for recycling. And even the carpets on the floor went to animal shelters to keep dogs' and cats' paws warm. 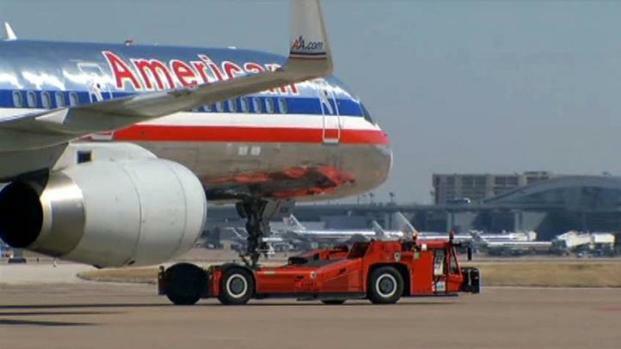 As fuel prices spike, American Airlines is finding creative ways to save fuel and money. But perhaps the biggest impact of all can be seen in the drink carts. 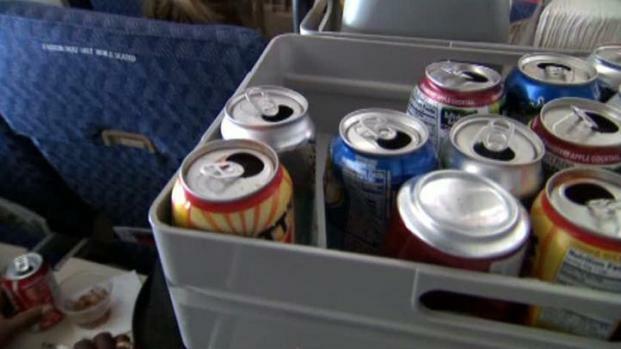 Last year, flight attendants gathered up more than 15 million aluminum cans. The cans are flown back to American hubs with recycling centers and turned into scrap. If you put all the cans they collected last year in one giant pile, it would weigh as much as five of the airline's 737s. 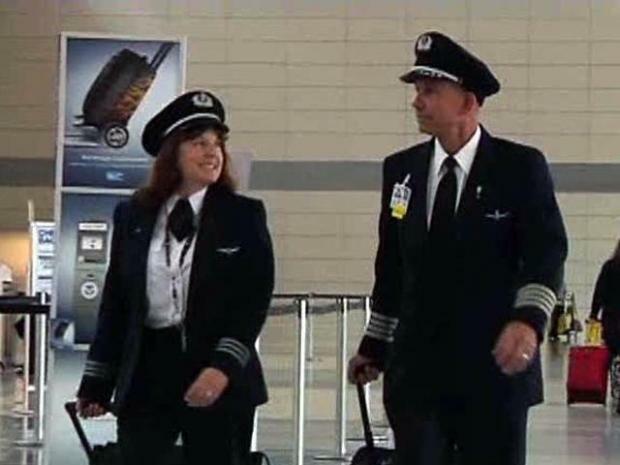 Two American Airlines pilots know what it's like to work in close quarters with a spouse. Collecting cans also helps the flight attendants help each other. Through an agreement with the airline, the money from the recycled metal goes to the flight attendants' Wings Foundation where it helps co-workers facing economic or medical hardships. "It's an easy way to be green, and I think the passengers are incredibly surprised that we do it," flight attendant Kazumi Chapa said. The biggest environmental challenge for all airlines remains cutting back on fuel consumption. But American has made strides in that area, too. Last year, the company's fuel smart program sought out ways to burn less, resulting in an estimated savings of 123 million gallons of fuel, worth about $285 million.